Next review Holborn Assets - Incentivised to get client investments in return for World Cup Tickets! 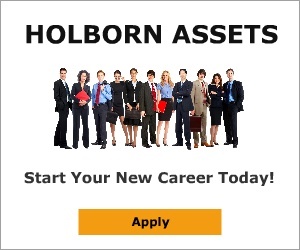 Holborn Assets - Lost me 40k in a pension transfer and I work in finance! Nov 10, 2015 We do our utmost to provide clients with the very best service and support. If for any reason you have a query or concern, we urge you to go direct to our customer service team who will help to rectify any issues quickly and efficiently. Visit our website for contact details. Daylight robbery, don't go anywhere near them. They put me into commission driven products and funds that were high risk and high commission paying. Bob the owner is Ex RAF and supposedly a devote christian, he should be ashamed of himself. They have never responded to complaint or even consider what they have done with my hard earned money. DONT NOT USE THEM or DEVERE they are as bad as each other. I was put into the IQS 17,000gbp this promptly lost me 12k gbp and I had to pay exit charges based on the original which they wont pay back to me. I was put into a generali personal portfolio bond which is not a suitable pension investment account due to high transaction fees, high commissions paid to the *** bag IFA and they dont seem to care as well. Review #520274 is a subjective opinion of User520274. They are up for sale and need to show as much revenue as possible so the owners can disappear into retirement. I heard the biggest are buying them out and soon all their guys will work for the one true broker in the market just like the Acuma boys (RIP LOL). As they say in highlander...there can be only one and soon they will be under our control.